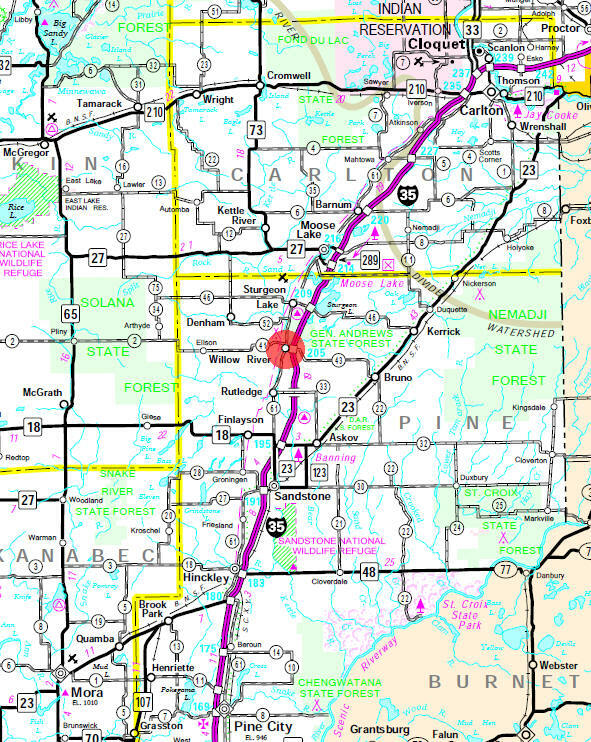 Do you have photos, historical accounts or other items pertaining to the Willow River area? Would you like to share this historical information with the world? LakesnWoods.com would like to publish your Willow River photos (current or historical) or historical accounts on this website. Original materials can be returned and your privacy will be respected. Willow River is a city in Pine County, Minnesota. Interstate 35, County Road 43, and County 61 (Cross Street) are three of the main routes in the community. According to the United States Census Bureau, the city has a total area of 1.86 square miles (4.82 km2), of which 1.71 square miles (4.43 km2) is land and 0.15 square miles (0.39 km2) is water. The elevation is 1,040 ft (317 m) above sea level. As of the census of 2010, there were 415 people, 173 households, and 103 families residing in the city. The population density was 242.7 inhabitants per square mile (93.7/km2). There were 199 housing units at an average density of 116.4 per square mile (44.9/km2). The racial makeup of the city was 95.7% White, 0.2% African American, 1.4% Native American, 0.2% from other races, and 2.4% from two or more races. Hispanic or Latino of any race were 2.2% of the population. There were 173 households of which 31.2% had children under the age of 18 living with them, 41.0% were married couples living together, 13.3% had a female householder with no husband present, 5.2% had a male householder with no wife present, and 40.5% were non-families. 35.8% of all households were made up of individuals and 13.9% had someone living alone who was 65 years of age or older. The average household size was 2.40 and the average family size was 3.03. The median age in the city was 35.1 years. 26% of residents were under the age of 18; 9.2% were between the ages of 18 and 24; 28.9% were from 25 to 44; 23.5% were from 45 to 64; and 12.3% were 65 years of age or older. The gender makeup of the city was 47.7% male and 52.3% female. The first known settlement in what was to become the Village of Willow River, at the junctions of the Willow and Kettle Rivers, was an encampment of Ojibway Indians. In July 1850 a roadway connecting the upper Mississippi River and the Lake Superior country, named the Point Douglas to St. Louis River Road, and more commonly known as the government military road, went from just south of St. Paul to Duluth. Willow River was chosen as a changing station for the coach horses. In 1861 the Lake Superior and Mississippi Railroad was organized with the financial help of Jay Cooke. It wasn't until August 1879 that the completed line from St. Paul to Duluth was opened. It was the railroad that helped settle and promote living in the northern part of Minnesota. The railroad also promoted the lumber industry. 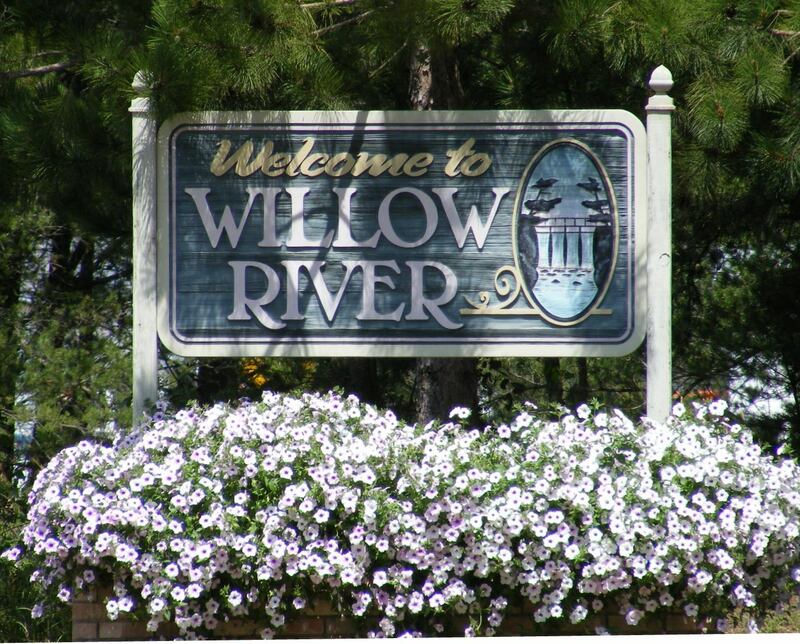 Many towns and villages, including Willow River, were organized once a lumber company set up shop. In March 1874 the Kettle River Township was organized and Willow River at this time consisted of a railroad depot, water tank, wood yard, and two section houses built for the railroad hands. Pine County records show that the three sections of land that would eventually make up the village of Willow River were homesteaded by Edward Clough, Albert Kinney, Peter Jarvis, Joseph Nebula, and Richard Abbott. In 1886 Abbott sold his section of land to the Fox-Wisdom Lumber Company. In 1888 Jarvis sold his section to Fox-Wisdom. In the spring of 1890, Warren D. Fox and John Wisdom opened the Fox-Wisdom Lumber Company in Willow River. The company then platted the land to build their business and offer lots for employees. By 1895 Kinney had leased his land to Fox-Wisdom, and Clough had sold all but 80 acres of his section in the northern part of the village. Joseph Nebula's section was past the lake and likely unusable to the company. The Fox-Wisdom Lumber Company sawmill was constructed and opened in March 1890. 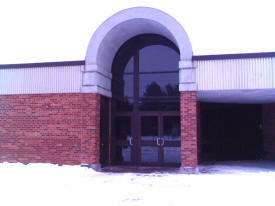 It was located on the south side of the present day Willow River dam. To ease the flow of logs, dams were built along the river to store water. There were as least three built and maintained by Fox-Wisdom. 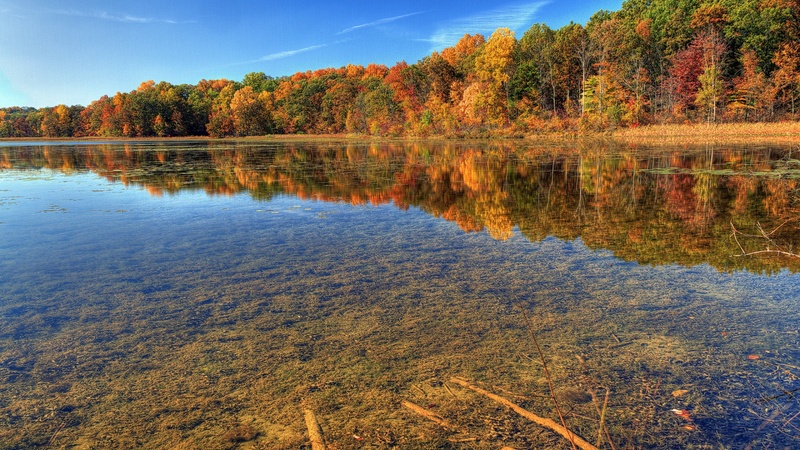 They were known as the "Mile and a Half," the "Willow Lake," and the "Oak Lake" dams. Sawmill operations began in the early spring and continued until the freeze-up of the mill pond. The mill produced lumber, lath, and shingles employing about 125 men. The mill cut 125,000 feet of lumber per day during their peak season. Many who worked in the logging camps during the winter came to the mill to work in the spring. On May 8, 1891, the village plat was filed in Pine County. The Fox-Wisdom Lumber Company and its employees made up the majority of property owners. 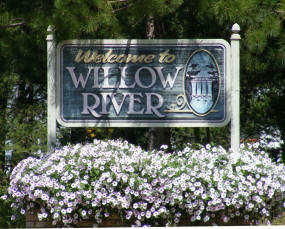 Willow River, like many other villages in northern Minnesota, owed its existence to the lumber industry. 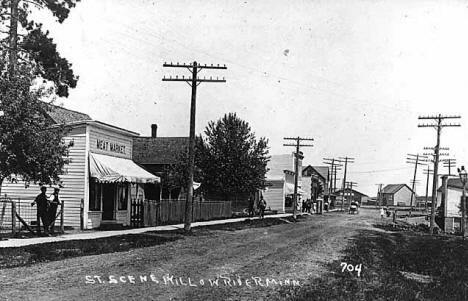 In November 1891, Willow River was incorporated as a village by a vote of 37 to 18 in the upstairs hall of the Fox-Wisdom Company store. WILLOW RIVER, a city in sections 2, 10, and 11 of Kettle River Township, is at its crossing of this stream, the largest eastern tributary of the Kettle River. The city is located on the site of an early Indian village; a sawmill and lumbering were the main industries, and it had a station of the Northern Pacific Railroad. The city was incorporated as a village on November 7, 1891, and the post office was established in 1889. Phone: (320) 245-2668 Located in General Andrews State Forest, managed by Banning State Park. On Zalesky Lake with water access and fishing, group camp, fee. CAMP HEARTLAND is a national non-profit organization that enhances the lives of children infected with and affected by HIV/AIDS through year-round support, advocacy, recreational programs and community AIDS awareness efforts. CAMP HEARTLAND serves nearly 600 children throughout the year free of charge at their beautiful 80-acre site in Willow River, MN. Through week-long summer camping programs and year-round "mini-session" reunions, they help the children make friends, have fun and develop new skills and self confidence, while experiencing a sense a liberation and unconditional acceptance to help them be successful throughout the year. Our main location is in Finlayson Minnesota, with six branch locations at, Willow River, MN; Barnum, MN; Floodwood, MN; Cromwell, MN; Deer River, MN and Grand Rapids, MN. As you explore our site, you will find that our products and services are designed to provide additional conveniences. You can view our current rates for loans and deposits.